Sheet pan dinners are all the rage right now- as they should be! What’s not to love about tossing all ingredients onto one pan and throwing it in the oven to bake while you finish up doing whatever it is you need to do?!?! I love sheet pan dinners, and often recommend them to my clients as a part of their meal plans because it can reduce or minimize dishes, makes planning easier, and can result in a comforting, satisfying, and nourishing meal the whole family can truly enjoy. The best part is that it can be super simple and easy! That’s why this month, as a part of our recipe redux community, we are sharing our healthy twists on sheet pan dinners so you can add to your recipe collection and feed your families delicious and nutritious meals for weeks to come! Pork chops are not a normal go-to in our family’s meals. Partly because my husband is not a big fan because they can be easily overcooked, and we tend to buy pork tenderloins instead – which would totally work here! Most people often think that you can’t eat pork healthfully-as a part of a heart healthy, weight-conscious meal plan. But you can! You just need to pick the right cut of meat- center cut pork chops or trim off any visible fat on the perimeter or pork tenderloins are great options! You just want to make sure there isn’t much marbling within the meat portion- that’s the saturated fat that we need to be mindful of consuming less in order to decrease excess consumption which can lead to plaque build up, elevated LDL cholesterol, and heart disease over time. No matter what type of lean protein you are picking for your sheet pan dinner, think about what it can be paired with and that it includes a non-starchy veggie (broccoli + beets in this case) and an optional fiber-rich carbohydrate (think potatoes, corn, corn or whole grain tortillas, etc- sweet potato in my recipe). The non-starchy veggie provides fiber, nutrients, and volume to the meal while the fiber-rich carb is also providing benefits and fullness from fiber, but can also serve as the little sweet treat on the plate too. 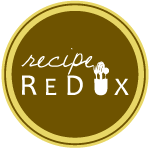 Now that you have the background of how to plan these meals to fit everyone’s needs and likes, let’s get onto the recipe! You know me, I’m not much of a measure-r when it comes to cooking quick dinners, I just tend to sprinkle things on, but here’s the specifics to start that you can adjust to your liking. Spray a baking sheet with non stick spray and preheat the oven to 400 degrees. On the prepared baking sheet, add the pork chops and sprinkle each with a pinch of the seasonings (garlic powder to parmesan cheese). Press the parmesan cheese lightly into the meat with your fingers. Lay the broccoli, sweet potatoes, and beets onto the tray (or a separate tray if it won’t all fit on one without over crowding the pan). Lightly drizzle with olive oil, salt, and pepper. Toss well to combine and coat with the seasonings. Add some black pepper to the pork chops. Place the baking sheet/s in the oven for about 15-20 minutes. Checking on occasionally, and tossing as well. If the pork chops are finished cooking sooner than the veggies (internal temp reaches 145 degrees), simply remove them and place on a serving dish to rest until the veggies are finished (I like my veggies with a little more “char” on them, so they need a little longer than the pork). Enjoy dinner time with your family!